Campsite Campéole Le Dramont is a campsite with 160 touring pitches. During low season, between 29-03-2019 - 06-07-2019 and 24-08-2019 - 13-10-2019, the nightly rate is €20,- at one of the 160 touring pitches at Campsite Campéole Le Dramont in Agay (Var). At this campsite you can not only use your CampingCard ACSI for inexpensive camping, you can also use your ACSI Club ID (as an alternative ID). A real paradise for campers, on a naturally landscaped shady terrain, right on the water. Surroundings are perfect for long walks along the coast at the foot of the Esterel Massif with its red rock (porphyry). 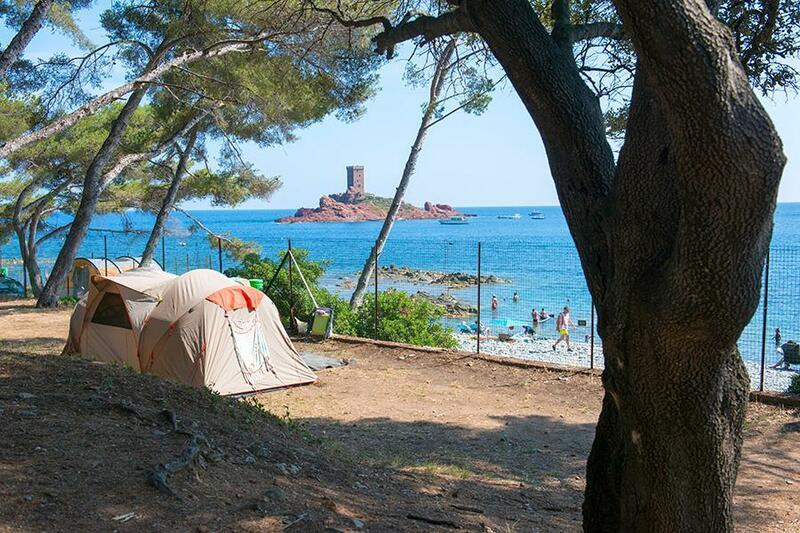 Would you like to book Campsite Campéole Le Dramont or request more information? You can do both using the information below or by visiting the campsite's website. From the centre of St. Raphaël, take the road along the Mediterranean coast (RN98) towards the east for 7 km. The campsite is signposted in the village of Le Dramont. CampingCard ACSI will send your information request to "Campsite Campéole Le Dramont".